This morning, a new line of Android phones was announced from Archos, a company known for their GamePad and Platinum line of tablets. The line is called Platinum and contains three different phones – the 35 Carbon, the 50 Platinum, and the 53 Platinum. As mentioned in the title, the devices are priced at an extremely competitive rate, with the 3.5″ 35 Carbon starting at just $99. From there, the 5.0″ 50 Platinum will go on sale at $220, while the larger 5.3″ 53 Platinum is set at just $250. Each device is “Google certified,” runs pure vanilla Android 4.1.2, sports an IPS display and supports Archos’ cloud-based storage for contacts and files. Both the 50 Platinum and 53 Platinum contain quad-core Qualcomm processors, so it would appear Archos is stepping up their game in the specs department. Unfortunately, these device will go on sale starting in Europe this May and we are currently awaiting word from the company if we can expect to see them go on sale here in America. My guess would be eventually, yes. An unlocked phone of this caliber at an incredibly reasonable price? Anyone interested? 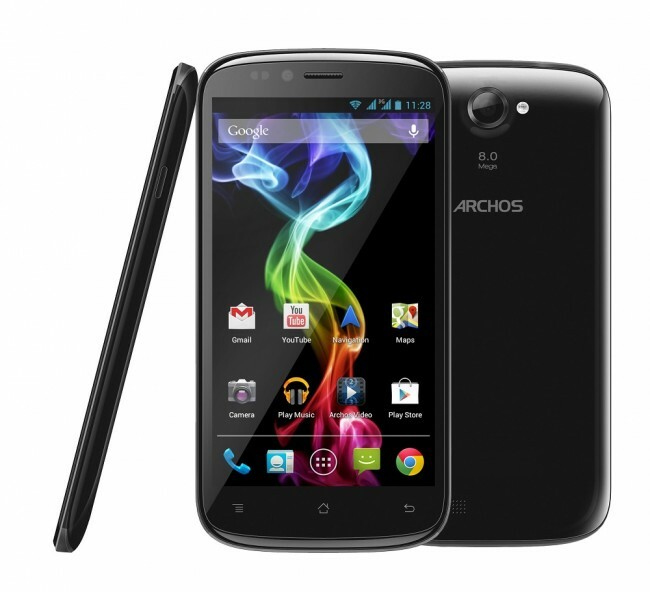 Denver, CO – April 18th, 2013 – ARCHOS, a pioneer in AndroidTM devices, is pleased to announce its first line of GoogleTM certified smartphones. Each smartphone will feature a super slim design, IPS screen with amazing viewing angles, a powerful Qualcomm CPU and the flexibility of dual SIM cards which allow the user to manage two providers simultaneously. For more information about ARCHOS products visit www.ARCHOS.com.